Giera walked into the great hall. The houselfs had done a great job. The table were long, and just wide enough to carry the hundreds of plates, and plates with all sorts of food on. Guera almost didnt dare to take to heavy steps, as he noticed the mirror image of himself looking up at him from the blankpolished tiles. A houseelf were just placing the last chair in place. Giera passed the elf on the way, and nodded in gratitude. The elf looked shortly around to see if Giera had nodded to anyone, but realised it was itself that was complimented, and bowed, before snapping and disapeard. Giera waved his wand, and just under the seiling, clouds began to appear, that slowly drifted away, and left sunstrikes gliding down into the room, so it matched the weather outside. Giera sat down, and looked for a bit on the seiling, trying to find any flaws that could be finished, before the first students arrived. A lazy sky drifted by. Giera looked satisfied. Now he could only wait for everyone to arrive. Monde had gotten rid of his bags, and now stood in front of the great doors of the great hall. There was a few students sitting around chitchatting. A little group of 5-6th years, and a little larger group of overexited 2nd years. adrian walked in to the the halls of hogworts he had droped off his stuff in his dorm he went strait to the great hall to see who was there yet he looked aroung seemed like not many ravenclaws were there yet he went and sat down at the end of the table of the ravenclaw. The thin, frail Potions Master limped forward slowly, pressing onto the cane that he always carried. He rubbed his balled fist on his eyes. He yawned, the delicate features of his pale face rinkled with the yawn, meshing with the few wrinkles that were already there. He opened his eyes gently, bringing his hand down to stroke over his mustache. He took in a deep breath. 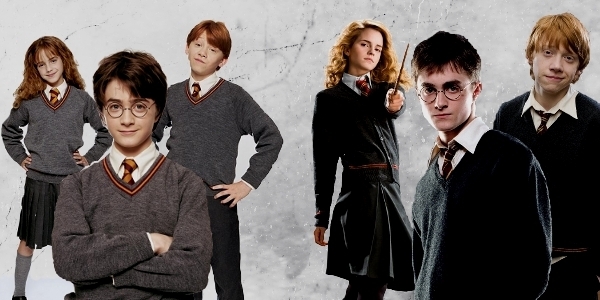 A new year at Hogwarts. Ah, how he loved Hogwarts. He smiled gently and limped towards the Slytherin table. He blinked, his thin legs already feeling tired. He plopped onto a chair and sighed. The 'Thin-Bones' teacher really did live up to his nickname. He looked around. "Oh?" He asked himself, students were already arriving. He noticed he was rather close to Monde, and shyed away, scooting away from the boy. Monde saw a familiar face approaching, and smiled as he saw the slytherin headmaster do his... well do his things. As he sat down Monde nodded deeply and polite. "Hello again Professor Elantrix. Long time since we met" Monde said and smiled, on finally beeing with one he had known through his entire years at Hogwarts. "Any interresting news?" Austin flinched. He really didn't want to talk. He gulped. Oh how he dreaded personal contact, and socialazation. A miracle he managed to get up in the mourning to teach. He took in a deep breath. "No... Mister Monde..." He said slowly, trying to shy away from him. Ah yes, how he wanted to leave, but he was now being cornored by students from all directions pouring into the hall. They were all watching him. His plae face blushed. He couldn't leave now. What would the new students think of a teacher afraid of his students. "How...How are you, Mister Monde?" Monde smiled at the good old Professor Elantrix. "Im doing just fine. Nothing new really, I still cant get to know what my parrents are acused for..." Monde said, and sighed impatiently, and scratched in the table with an indexfinger "How about you professor?" Austin blinked very slowly. Ah how much more he dreaded socializng now. He never comforted people often, thus, did not know what to say to help Monde. He tried to ignore the comment, but it ate away at him. Monde was jsut like him. A terrible childhood. Austin flinched and leaned forward slightly, closer to Monde and gave him a quick hug. "It...Will be okay, Monde..."
Shiyumi limped into the hall. "The next time you trip me, even by accident, there will be pain," she snarled to Jake. He rolled his eyes. "Come now Yumi, imagine how bored you'd be without any friends," she said with a grin. "I have other friends," she said, sounding defensive. Jiva looked at her. "I had thought we had confirmed just the opposite last semester here," she commented. Shiyumi sighed. "Fine, I have no social life... so I am going to go over to the Slytherin table and mope," she said, leaving them to go to their own house tables. She winced slightly as she walked over to the Slytherin table, her foot aching slightly from her collision with Jake's foot, and her arm aching from the sudden introduction of her to the wall. She saw the potions teacher sitting on the end of the table chatting with Monde. She didn't know how to approach them, and ended up sitting in a seat on the other side of the table from them. She wouldn't call it directly across, but after Lyra Pumoni, a girl she had accidentally singed the eyebrows off last year and who was now sitting next to her, threw her a disgusted look, she slid down the bench and found herself looking right at their potions teacher. She tapped her fingers on the table and stared at her plate. Ines walked into the Great Hall and went over to the Ravenclaw table. She looked around for anyone who knew her and decided to sit in an area with some empty spaces soon to be occupied by any first years. Basically people who didn't know about her not-so-clean record. adrian looked around from where he was sitting he saw Ines sitting over by the first years and reonised her from the train station he got up and walked twords her. when he got there he asked "so u going to just sit here by your self with these news or do u want me to sit with you here"
Ines looked up, slightly surprised. "Eef you are interested you may seet," she said, scooting to the side a little. Monde nodded to Austin in graditute, knowing how hard it mustve been for the shy little man to give a simple hug "I know" Monde said, and looked at Shi, who had just scooted over to them. "prof. Ellantrix i want you to meet Shiyumi Chi..? Cha..? Cho..? Cho!" Monde finally guessed right, after looking for a hint in Shi's face, that might tell her name, "but i guess youve allready met"
Shiyumi grinned at Austin. "Once or twice," she said. She stuck her hand out towards him. "Herro." "well then don't mind if i do" he sits down and asks "so witch of these do u think will make it to the raven claw dorms"he looked at Ines and waited of an answer. Austin flinched, He was surrounded by students now. He couldn't escape. He screamed at himself mentally. After giving a careful nod to Monde, he slowly reached his thin, pale hand out and gave Shiyumi a quick, short, handshake. "Hello...Miss Cho." Shiyumi pulled her hand back when the professor dropped it, and looked at her plate as she fingered it. She felt as though she had disturbed something, but she shrugged the feeling off. Ines looked at the students. "Eet is almost impossible to know for sure, but as a guess... maybe those," she said, pointing out a few of the students. Giera waved down to Austin, telling him to get up by the teachers table. 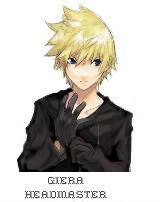 Giera stood up, and raised both his arms to draw attention, and tell people to be quiet. The students who had just arrived, jumpe down on a free spot, or found one, where it normally wouldnt be possible. Giera waited untill the whole room went silent, untill speaking, "Wellcome back to Hogwarts!" Giera said, and a loud hooray, and claps were heard through the great hall. Giera raised his arm again, and continued "As many of you may have noticed, we are having a bit of a staff problem" Giera said, and waved towards the empty teacher-chairs. "The reasoning, and consequences will follow, but first we need to introduce our new students" As Giera said this, the great doors opened, and a group of freightened 11years old children flodded into the room. Claps, and shoutings were beeing heard from everywhere, and the new students became even more freightened, with the exeption of some who found comfort in a familiar face, sibling, or known in other way. The new students arrived all the way up to the small steps leading up to the teachers table. Giera walked down to a chair standing in front of the teachers table, on it stood an old worn out hat. Giera pulled out a scroll from his pocket, under his cloak, lifted up the hat, and read aloud the first name: "Leaves, Marissa" A shy girl walked up, but still with firm steps, and reached all the way up to the chair, and jumped up on it. Giera placed the hat on her head, after a few seconds, it shouted "RAVENCLAW!" Shouts of hooray, and claping were heard from the Ravenclaws. after all the new students had gone through something similiar, Giera placed the hat back, and walked back to his position. After all the students were quiet again, Giera anounced "Now, you may all be wondering, why there is such few teachers. I will begin at the beginning. Last year, a student disapeard, and we have seen no sign of him, therefor the teachers have stayed on this school. We are sorry to anounce to all those who knew him, that proffessor McGillian was found dead, in the sleeping corridors of Slytherin." Giera held a break, to let the message glide in, and watched as several students looked into the air in shock, and a few gasps, and cries, were heard from the Hufflepuff table, since it was their houseteacher. Giera continued "Ever since, teachers have been quitting, and the situation on Hogwarts are no longer considered stabil. I have discussed with the minestry of magic to close the school, but we have found an agreement, that instead we will have guards, and replacement teachers, supported from the minestry, so dont fear anything, this year we will be safe within the walls of Hogwarts. Of these reasons, i must ask you once more, but this time more than ever, not to go to the forbidden forrest, and all care for magical creatures lessons will be held closer to the school, than at the forrest border. Also, i would like Slytherin students, or anyone else who wanders those places, not to go to the deepest westend of the crypts, that place is now also considered forbidden. Now, I myself have allready heard several rumors, and i ask you, please, if we dont want this story to be more tragic than it allready is, dont carry around those rumors, and if you carry one, you can get it confirmed with the guards, or me." Giera held a break "There wont be any further changes, because we didnt find it needfull, so enjoy your next year at Hogwarts, and try to get as much out of it as possible, and dont worry about it. As long as you follow the rules, nothing will happen" With these words, Giera nodded, sat down, and the plates on the tables were filled with all kinds of food in any kind desired. Giera began to eat, but didnt really have apetite. Austin, now at the teacher's table, looked down at the gold colored plat and sighed. Ah yes the dangers of Hogwarts. The only reason he stayed was the fact that the castle was his home and he loved it. His first home, with his mother, was never a good place for a child. He looked down at his food, but did not eat. It was then a boy screamed at the teachers from down below at his table. "Then why didn't Prof. Thin-Bones run away from the school liek the coward he is?!" All Austin did was blush and try to hide his face. Giera narrowed his eyebrows, and opened his mouth to say something, but before he could a slytherin student stood up. As monde heard the student stand up and offend his headmaster, he stood up, and stared directly in direction where the sound came from. Some cocky little 3rdyear gryffindor. Allways cocky Gryffindors. "Proffesor Thin-Bone as you call him, have more guts, reason, and friends here than you to stay" The cocky brat snerred back, something that only the nearest heard, and the others around seemed to agree. "What did you say?" Monde said, and reached for his wand. "ENOUGH!" Shouted Giera, "I dont want any raised wands in this great hall, there have been enough bad mood allready, if the circumstances werent like this, and your judgement werent blurred by this horrible situation, id immideatly take 20 points away from both of you. You" Giera said looking at the now sitting Gryffindor "for insulting a teacher, and for no respect for others at all. And you" He said turning to Monde "For beeing agressive, and intimidating"
Monde nodded, and bit his teeth together "Yes Proffesor" He said quietly, and sat down, piercing the chicken that were on the plate in front of him with a knife"
Austin felt a deep warming sensation in his heart. His friends, both Headmaster Giera and Monde, his now favorite student. He would have to remember to bump Monde's Potion's grade up a few points. He smiled a little, murmering a quiet thanks to the headmaster, and giving an oh so small wink in Monde's direction, as a sgn of aknowledgemant, as he returned to starign at his plate. Leslie turned to look at the Griffendoor table with a look of disgust. 'Pigs,' she muttered under her breath in japanese. She looked at the food that had materialized in front of her and started picking on a few sprouts. 'This is the reason your grandmother especially wanted you to transfer to Hana no,' a little voice in her head pointed out. She grimaced unconsciously and continued picking at the sprouts. Ines felt a little sick. She wasn't in hufflepuff but she liked professor McGillian. 'What was he doing in the slytherin sleeping quarters though?' she thought. ((Official RP is over. You can leave, stay, eat, jump, swim, etc as you like from now on. Classes will be made the following days, where all mods and admins can RP as supportteachers from the minestry. Austin, you will have to deal with potion classes yourself though ^^. Monde couldnt get anything food down his throat, so he left in silence nodding, in his usual way, to the Slytherins he knew (including Shi and prof Ellantrix), and walked out of the great hall, and down towards the Slytherin house.